16 middleweights and 16 light heavyweights battle it out in a day of elimination fights, hoping for a coveted spot in The Ultimate Fighter house. 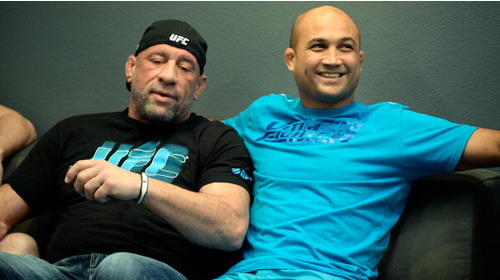 Once in, coaches and former world champions BJ Penn and Frankie Edgar pick their squads. Only one man from each weight class will walk away with a new Harley-Davidson motorcyle, a six-figure UFC contract, and the title of The Ultimate Fighter. TUF 19 Ep.1 The Hurting Game May 20, 2014 (1:25:15) 16 up-and-coming middleweights and 16 promising light heavyweights face off in a day of elimination fights, hoping to secure a spot in the competition. 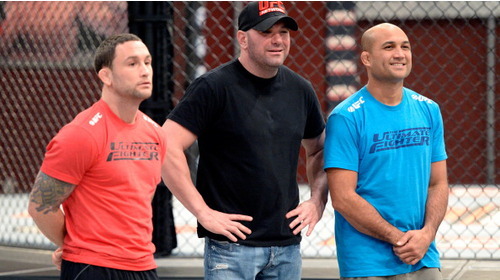 UFC President Dana White, along with coaches BJ Penn and Frankie Edgar, watches ringside as the fighters go to battle. After 16 losers are sent home the coaches pick their squads and the first fight matchup is announced. Once the fighters square off the preliminary round is underway in the most grueling sports competition anywhere in the world. TUF 19 Ep.2 Flying the Flag May 27, 2014 (42:42) Eight middleweights and eight light heavyweights move into the fighter house, ready to pursue their dream of becoming The Ultimate Fighter. 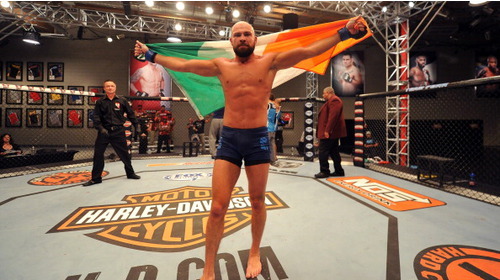 The tournament kicks off with a matchup between Irishman Cathal Pendred and the Mexican-born Hector Urbina. 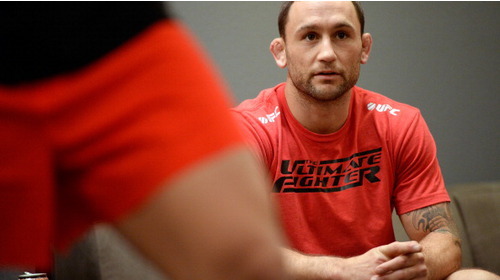 At weigh-ins, Coaches BJ Penn and Frankie Edgar must pull their heated fighters apart. Later, the two middleweights enter the Octagon prepared for a vicious battle. 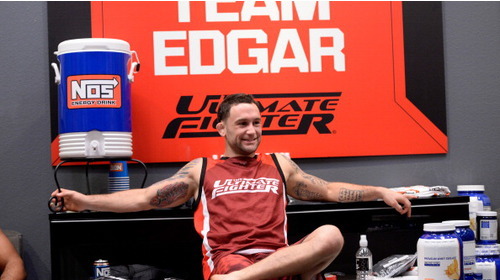 TUF 19 Ep.3 Anytime, Anywhere Jun 3, 2014 (42:30) After losing the first fight of the competition, Frankie Edgar brings in famed jiu jitsu black belt Renzo Gracie to work with his team. While Team Penn's Daniel Spohn uses free time at the house to work on training techniques, Team Edgar preacher Todd Monaghan gathers the teams during down time to hold a sermon. Then, with a spot in the semis on the line, Spohn and Monaghan face off in the second preliminary fight. 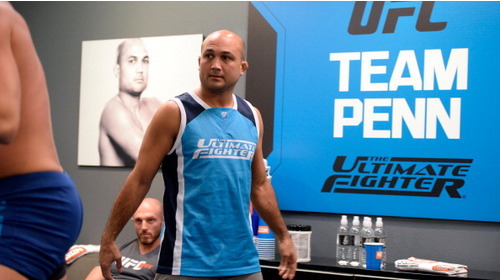 TUF 19 Ep.4 Stand and Bang Jun 10, 2014 (42:32) Having secured two wins in the first two matchups, Team Penn looks to continue the streak. Meanwhile, at the house, a rivalry develops between two light heavyweights. In the Octagon, it’s a middleweight battle as jui jitsu brown belt Tim Williams of Team Penn takes on jui jitsu purple belt Dhiego Lima of Team Edgar. TUF 19 Ep.5 Too Salty Jun 17, 2014 (0:00) On the heels of Tim Williams' suprising loss, BJ gives his team a lecture on the risks of overtraining. Team Edgar heads to the mountains for a scenic practice session. Then, former boxer Josh Clark tries to get momentum back in Team Penn's favor, as he faces skilled wrestler Corey Anderson of Team Edgar. TUF 19 Ep.6 Fight to Live Jun 24, 2014 (42:42) The teams are tied heading into the third middleweight matchup of the season. Roger Zapata takes on the favored Ian Stephens and when the fight is finished, Dana reacts explosively to one of the most controversial bouts in TUF history. 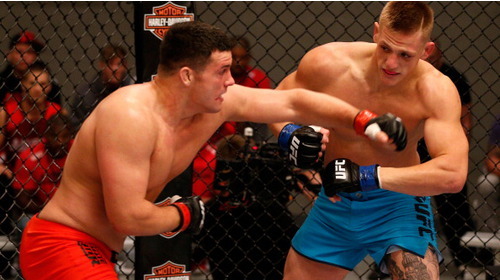 TUF 19 Ep.7 Kinetic Chess Jul 1, 2014 (42:45) Tensions boil over at the house in the wake of Roger Zapata's controversial win over Ian Stephens, causing a rift between the teams. And in the sixth preliminary fight, wrestler Patrick Walsh of Team Edgar tries to get the momentum back in their favor and take out Team Penn #1 pick Anton Berzin. TUF 19 Ep.8 Someone's Getting Bullied Jul 8, 2014 (42:36) Team Penn’s number one middleweight Mike King takes on the powerful underdog, Eddie Gordon of Team Edgar. Only one will win, earning a spot in the semifinals. 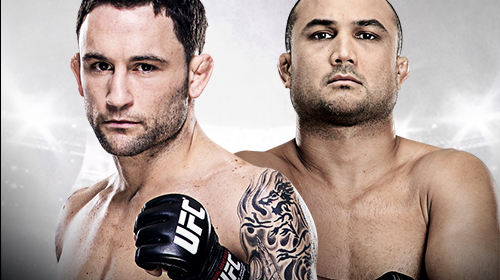 And, BJ Penn and Frankie Edgar make a splash in this season’s coaches’ challenge. TUF 19 Ep.9 Get That Money Jul 15, 2014 (42:41) The fighters take a field trip to the Harley-Davidson Boot Camp. Cocky Matt Van Buren of Team Edgar and Irish fighter Chris Fields of Team Penn bring their rivalry to the Octagon in the last preliminary fight. Then, Dana announces the semifinal matchups. TUF 19 Ep.10 One Fight Away Jul 22, 2014 (42:42) The semifinals kick off with a middleweight battle between the highly touted Irishman, Cathal Pendred and the underdog from New York, Eddie Gordon. But first, Dana brings the semifinalists to the MGM Grand, delivering an inspiring speech to those still in the tournament. TUF 19 Ep.11 The Zombie Jul 29, 2014 (42:52) Teammates Patrick Walsh and Corey Anderson prepare to face off in the semi-finals. Training controversy causes the Edgar fighters to erupt in rage, and the coaches attempt to mediate. And then, it’s a semifinal slugfest between light heavyweights. 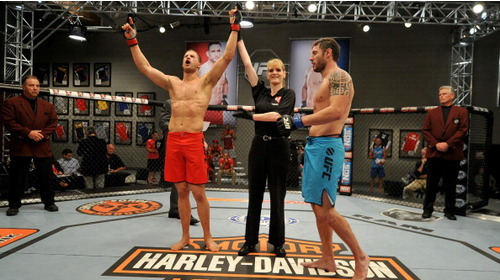 TUF 19 Ep.12 The Big Show Aug 5, 2014 (42:30) The remaining finale spots are determined in two semifinal fights. 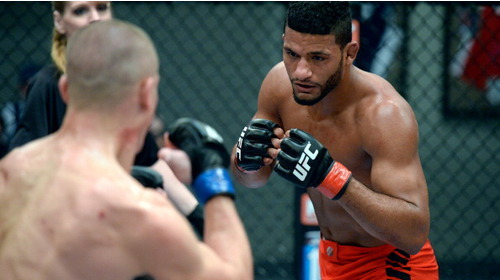 First, it’s a middleweight battle as Dhiego Lima takes on Roger Zapata. Then, light heavyweights Matt Van Buren and Daniel Spohn bring their heavy hands to the cage, facing off in the most vicious battle of the season. UFC Fight Night Edgar vs. Penn Jul 6, 2014 (2:03:55) One of the UFC’s greatest rivalries continues on Sunday, July 6th, when former champions Frankie Edgar and BJ Penn meet for the third time. Fresh off a coaching stint against each other on The Ultimate Fighter season 19, Edgar and Penn will now battle in the Octagon™. This time, though, the former 155-pound standouts are going to settle their business in the featherweight division. 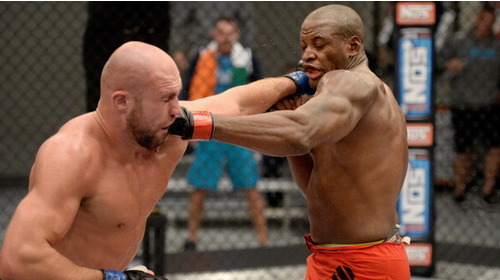 Plus, the light heavyweight and middleweight winners of The Ultimate Fighter season 19 will be crowned.